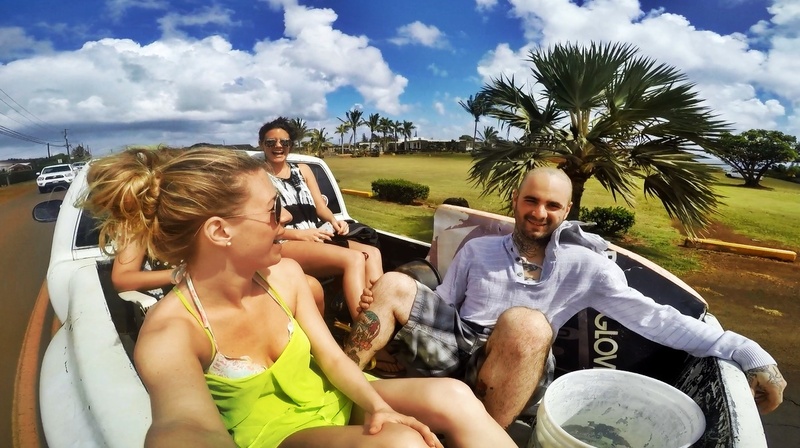 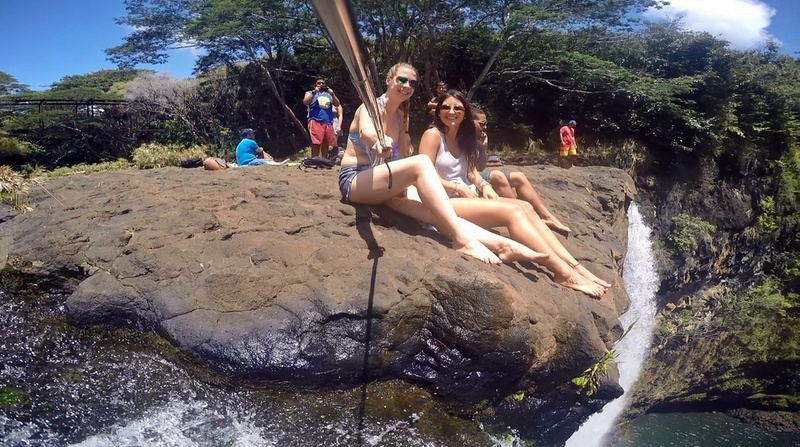 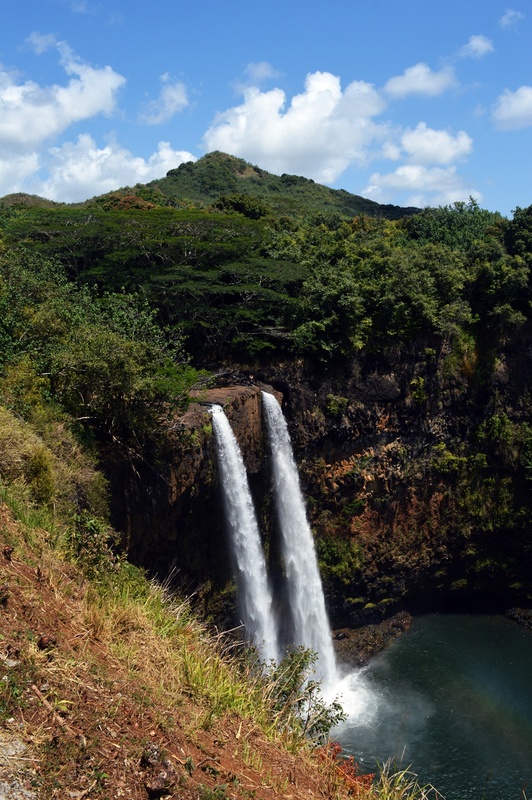 You’ve never been to Kaua’i but these 173 feet high waterfalls look pretty familiar to you? 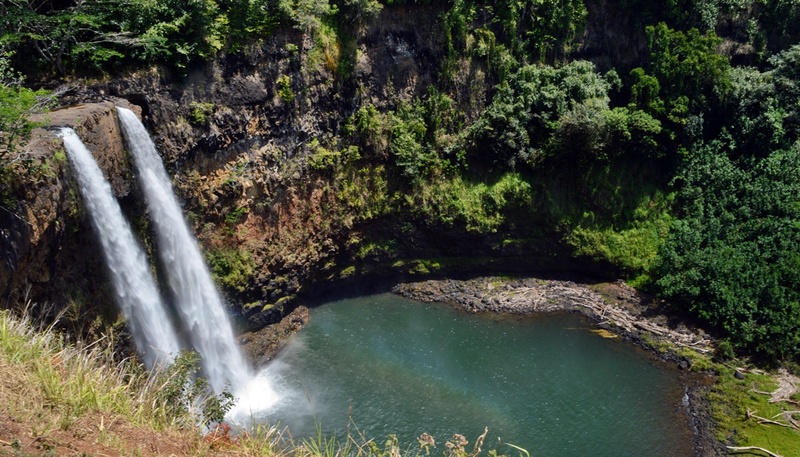 You’ve probably seen Wailua Falls in the intro of the 70s series “Fantasy Island”. 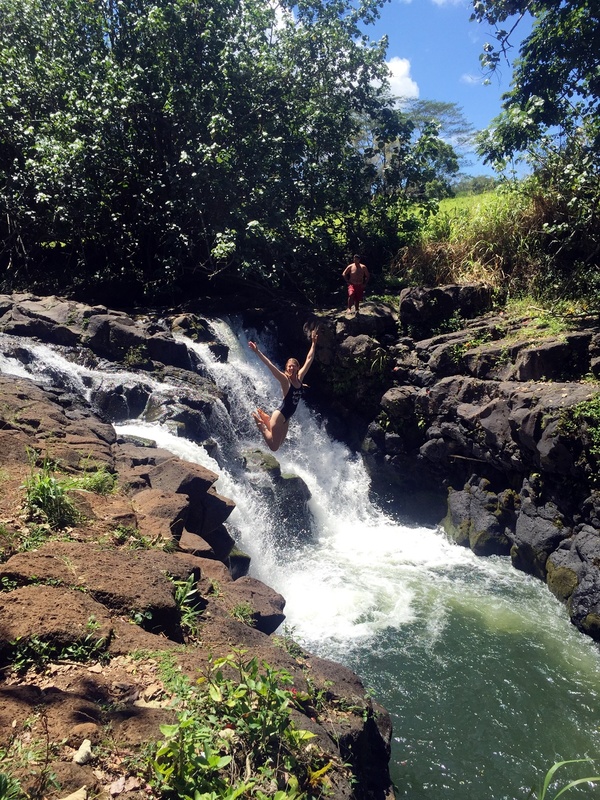 I love Wailua Falls! 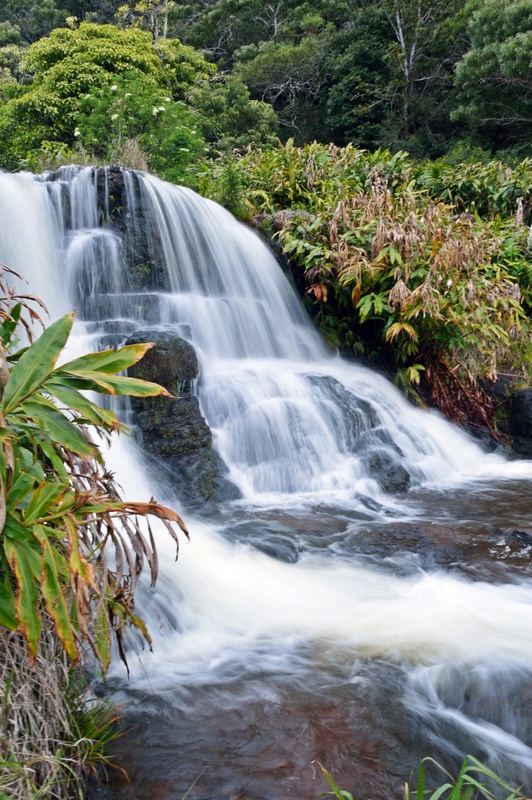 If you want to take a bath, just walk down the steep and muddy path. 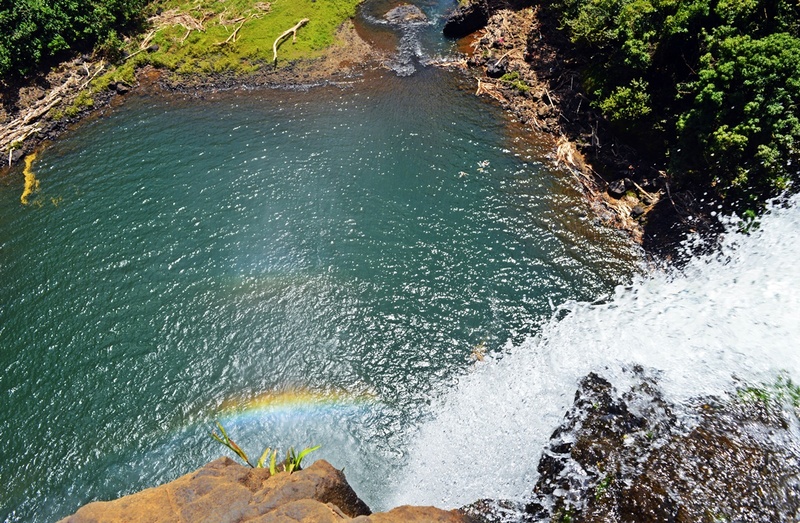 It was really impressing to sit at the edge of Wailua Falls – even I felt somewhat afraid of the height…But then I spotted a rainbow a few feet underneath my feet…WOW! 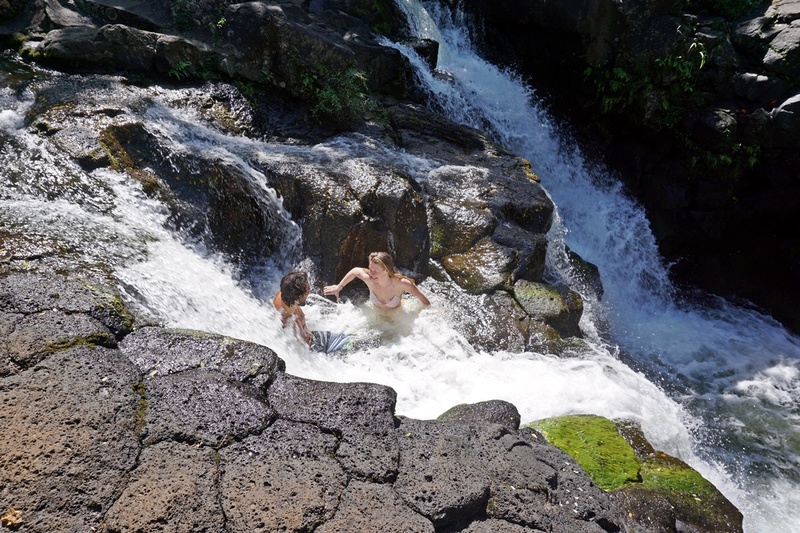 If you walk along Kapa’a Stream, you will reach Ho’opi’i Falls after 10 minutes. 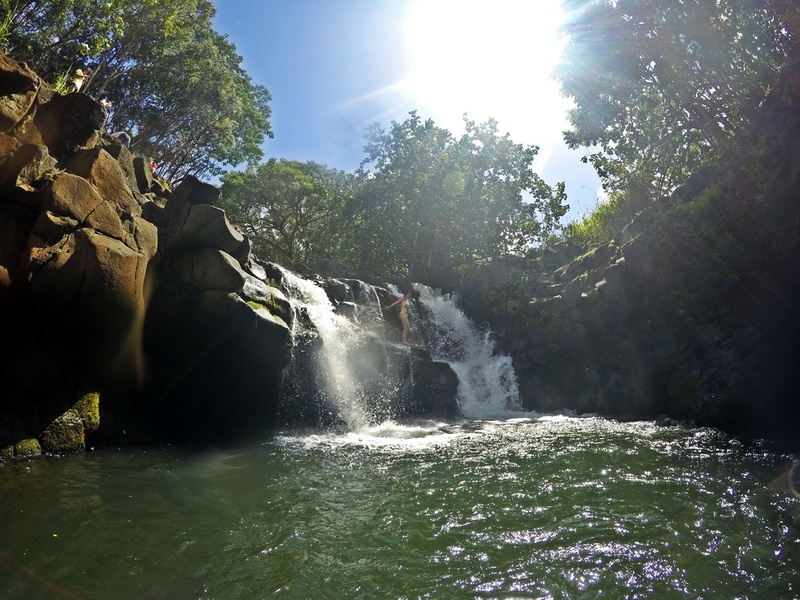 You can take a bath in one of the natural rock pools, jump off the waterfall and even climb behind it – a really cool spot to spend your day! 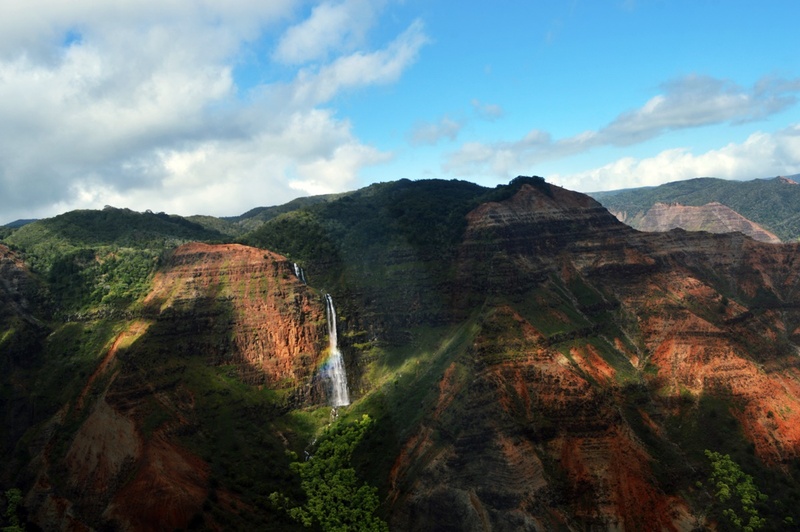 800 feet high Waipo’o Fallls are located in the middle of Waimea Canyon – which is basically a more beautiful and greener version of the Grand Canyon. 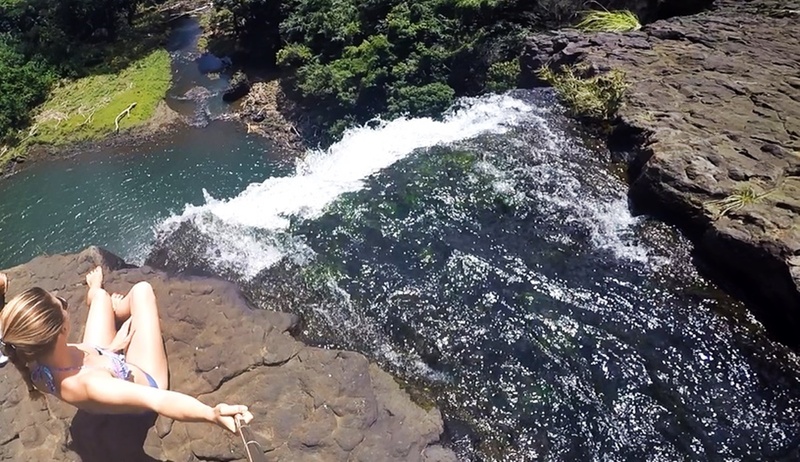 You can walk the trail to the upper part of the falls, but unfortunately you can’t see all of it. 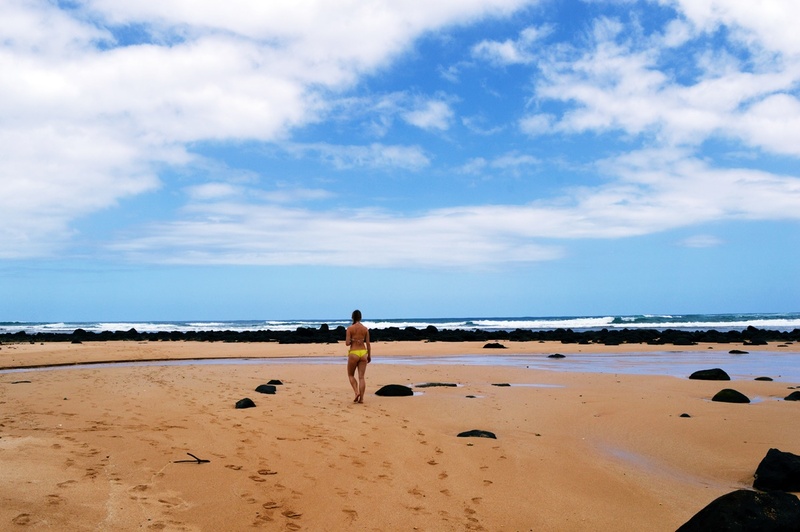 If you are brave enough, you can take a swim in the rock pools. 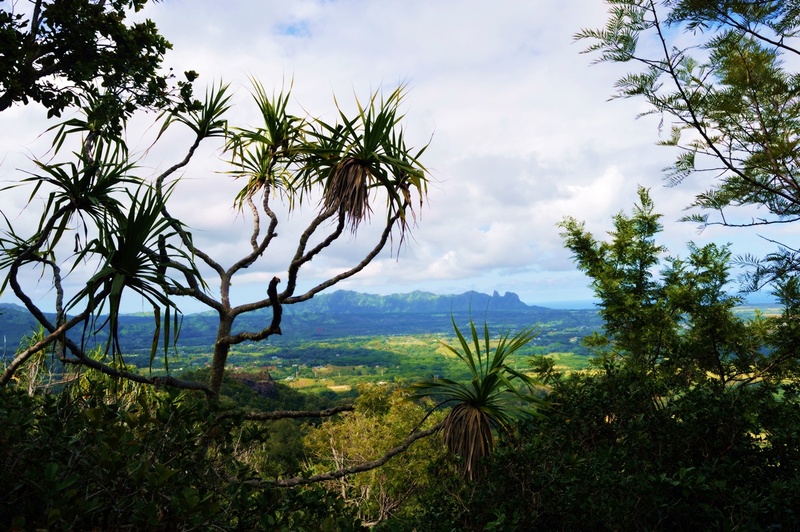 You will have a wonderful view over the canyon!